Would you like to give an original and fantastic present for Christmas, a Birthday or any kind of Anniversary, Wedding or Event? The Kitesurfing Gift Voucher by KiteGeneration is the original, fantastic and ideal present you are looking for! Give a unique emotion, with nature, made of adrenaline, happiness, freedom, accomplishment, challenge, fun, healthy. This is what kitesurfing brings to the people: give the best mood ever. Give a Kite Gift Voucher, one of the healthiest thing that can be done. Let felt your child, wife, brother or friend as happy and alive! What is the Kitesurfing Gift Voucher? The Kitesurf Gift Voucher by KiteGeneration is a card / coupon to give to someone in order to entitle him to get a Kitesurfing Lesson or Course in Sardinia. The person that will receive the Give Voucher could enjoy a fantastic experience of Kitesurfing in Sardinia! The Kitesurfing Gift Vouchers, a great Christmas, birthday, wedding or anniversary present, can be the full price or a contribution on price of kitesurfing Lessons or Course. The Kitesurf Gift Vouchers are perfect for all occasions and can be purchased for any of our kitesurfing courses and lessons. How to buy and how to receive the Kitesurfing Gift Voucher? Kitesurfing Gift Vouchers can be purchased by contacting us via contact form, email, whatsapp or phone. The message to insert in the voucher. The Kitesurfing Gift Voucher will be sent by email or whatsapp to the buyer or directly to the person(s) tto whom the gift is intended. The Kitesurf Gift Voucher can be exchanged? How long are they valid? If the person(s) you have purchased the Kitesurfing Gift Voucher would prefer a different course or a SUP tour in Cagliari or Villasimius, we can exchange it for free. The Gift Voucher can be also transferable to other people. 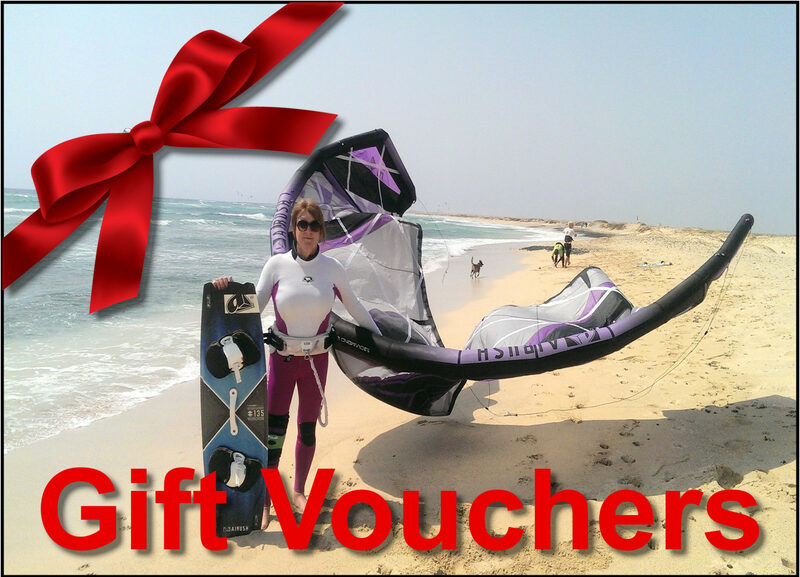 Kitesurfing Gift Vouchers are valid one year after purchase date. New! Our Kite course for beginner has got two very important additional improvements to be added to the normal Kite Course! The First improvement: After 4 hours of lessons, our kiteschool will lend you a Kite Trainer (totaly safe to be used after 4 hours of lesson) in order you could improve the kite control! In this way, at the second lesson, you will have a plus for the remaing kite course hours! The Second improvement: After each lessons, we will send you some documentation/tutorial where you could see what you have learned during the kite lesson with the instructor and learn additional notions that usually are not part of the lesson with the instructor! The two above listed improvements, would be added for free to the normal kite course for beginners here below described. 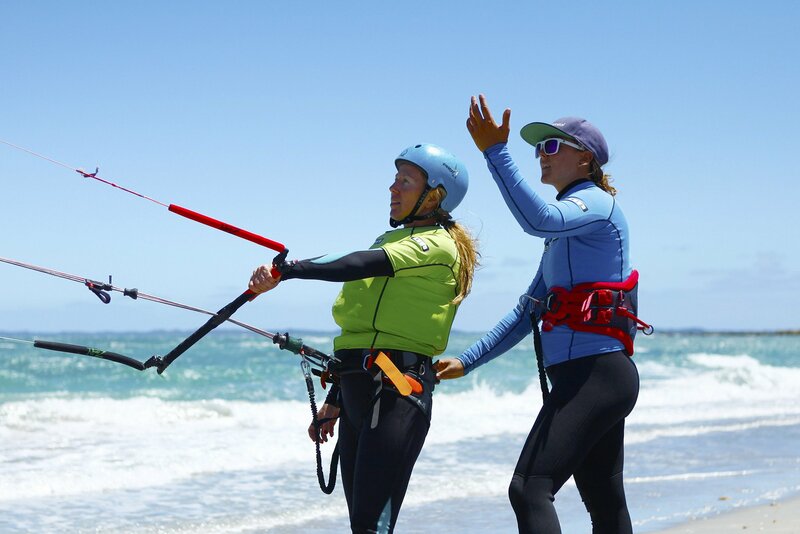 The Beginner Kite Course is addressed to people who like to learn to kitesurf, from the kite controlling untill the hang glinding on the sea. By the end of the Beginner Kite Course, you will practice getting up on the board for your first ride. During the course, you will improve kite piloting with power, one hand kite piloting, body dragging. A longer kite course means better kite skills and level (here all the kite levels of the kite learning program). 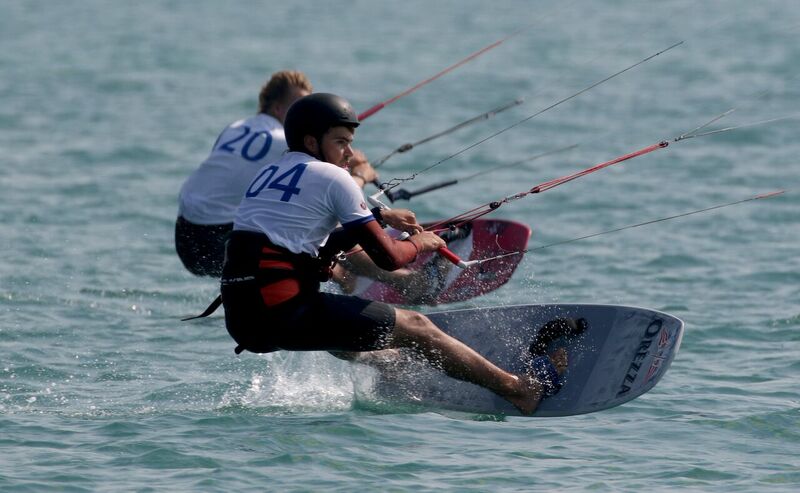 It was another day full of drama and excitement at the Oman Formula Kite World Championships. The favored racers were, again, at the front of the pack. Find out more, below, with news provided by Oman Sailing. With the top fleet stacked with the world’s fastest kite racers the battles at the Formula Kite World Championships in Oman just got a lot fiercer in awesome conditions that provided a perfect stage for the riders’ supreme athleticism. 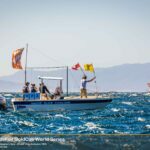 France’s Nico Parlier dominated in breezes that freshened and hovered between 9 and 11 knots for much of the day off Muscat’s Al Mouj Beach on the Gulf of Oman, framed by a dramatic mountain backdrop. On smooth waters, Parlier was pushed all the way by his friend and countryman Axel Mazella – who managed to overhaul his rival in race one – and Britain’s Olly Bridge. Often with just metres between them, the three had thrillingly-close finishes after high-speed sub-eight minute laps of the race track. 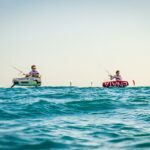 In the women’s fleet, the reigning International Kiteboarding Association (IKA) Formula Kite World Champion Daniela Moroz, from the US, showed she is human after all when she missed out on winning two of today’s five races. The 16-year-old’s superiority on the leaderboard is so dominant however, that a second and third place, plus a hat-trick of wins, was enough to cement her top spot. The incident, the subject of a number of protest hearings in the jury room, forced the USA’s Riley Gibbs and France’s Theo Lhostis, to withdraw from racing for the rest of the day. Nocher also changed out of his wetsuit and pulled out of the fray for the remainder of the day. the basis of Parlier’s near-peerless day, riding on his biggest 19m kite, he would appear to be in the box seat for the title. At one time, Parlier struggled in lighter breezes that perhaps favoured lighter rivals, but he now appears to have mastery of all conditions. Check out the highlights from day two here, and follow our Facebook for the highlights from today. 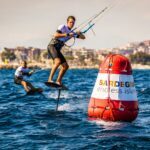 Nico Parlier wins the hydrofoil Pro tour! Second time in a row! 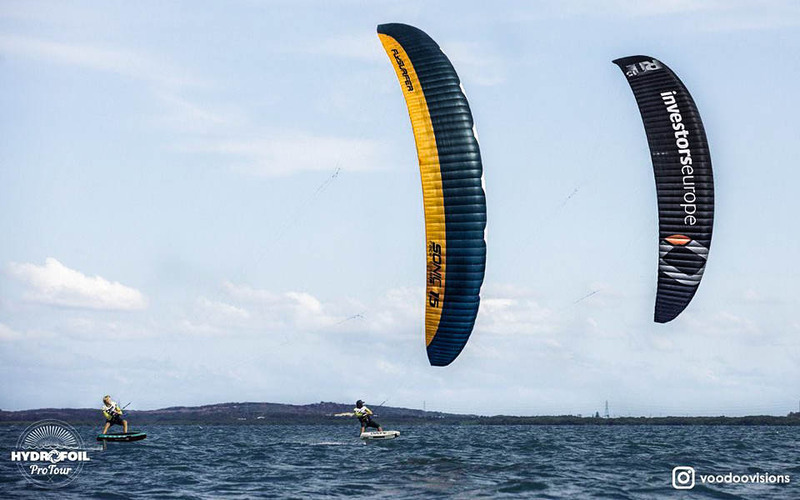 Hydrofoil Pro Tour moved to Australia, in the flat water and great wind of Botany Bay beach. A big news comes from Olly Bridge, that took part to the competition with the new Mike’s Lab Hydrofoil, showing its qualities. Olly already used Mike’s fin in the Extreme San Diego Foil Invitational (19-22/10/2017) but this was the first time in the tour. It looked like he felt comfortable with new material, as he was able to shot some bullets, and as he was always extremly close to Nico. At the end of the day Australian team was performing really good with 5 riders in the top 15, and 2 riders on the top 10. ”On course side” in the second race of the day was the only mistake for Nico, as he won 5 races out of 6. For the Australian guys, day finished with Mani Bisschops sitting 7th, Andrew Cooksey 10th, Drew Malcolm 12th, Philip Rawlands 13th and Alty Frisby 14th! The Extreme Sailing Series, the Racing circuit with the best GC32 catamarans sailors, has been held in San Diego (USA) from the 19th to the 22nd of October 2017. The Racing program was complemented by the Extreme San Diego Foil Kiteboarding Invitational, featuring some of the kite foilers talents (including the three-time world champion Johnny Heineken and Daniela Moroz, the Rolex Yachts woman of the Year) battling for $20,000 prize money and all looking for training together. The French Axel Mazella won the Extreme Extreme San Diego Kiteboarding Invitational with nine bulletss in thirteen races). Second place for the British Oliver Bridge, third for the American Johnny Heineken. “Really excited to come to San Diego to race alongside some of the best sailors in the world. The last time I kited in San Diego Bay was on a race board during the America’s Cup World Series, and now I’ll be foil racing” said Johonny Heineken. “Having a large organisation like OC Sport [founder and organiser of the Extreme Sailing Series] behind us, and working with the Extreme San Diego team, has exceeded my expectations in being able to develop a world class event” said Nico Landauer. French Axel Mazella still first at the Extreme San Diego Kiteboarding Invitational, with eight bullets in 11 races. British Oliver Bridge climbed to second and Riley Gibbs dropped to third position. Three-time world-champion Johnny Heineken is currently in fourth position. Axel Mazella (FRA) 10 points. Oliver Bridge (GBR) 24 points. Johnny Heineken (USA) 39 points. Joey Pasquali (USA) 41 points. Julien Kernuer (FRA) 53 points. Nico Landaur (URU) 55 points. Florian Gruber (GER) 59 points. Toni Vodisek (SLO) 63 point. Will Cyr (USA) 81 points. Kai Calder (USA) 86 points. Bryan Lake (USA) 97 points. Daniela Moroz (USA) 101 points. Ty Reed (USA) 122 points. Stefaans Viljoen (RSA) 144 points. San Diego: Axel Mazella wins day 2 ! Six races took place for the Extreme San Diego Kiteboarding Invitational and the 19-years-old Axel Mazella, from France, dominated with five bullets. Mazella tops the leaderboard followed by USA’s Riley Gibbs in second and UK’s Oliver Bridge in third. Axel Mazella (FRA) 7 points. Riley Gibbs (USA) 22.3 points. Oliver Bridge (GBR) 23 points. Toni Vodisek (SLO) 25 point. Joey Pasquali (USA) 31 points. Julien Kernuer (FRA) 34 points. Johnny Heineken (USA) 35 points. Nico Landauer (URU) 36 points. Florian Gruber (GER) 40 points. Kai Calder (USA) 53 points. Will Cyr (USA) 57 points. Daniela Moroz (USA) 59 points. Bryan Lake (USA) 68 points. Ty Reed (USA) 88 points. Stefaans Viljoen (RSA) 96 points. 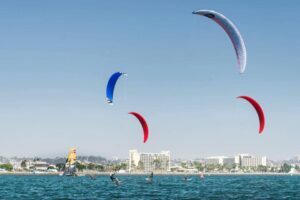 San Diego, kite Foil day 1: Tony Vodisek is the winner! Toni Vodisek (SLO) 1 point. Julien Kernuer (FRA) 2 points. Oliver Bridge (GBR) 3 points. Axel Mazella (FRA) 4 points. Florian Gruber (GER) 5 points. Joey Pasquali (USA) 6 points. Riley Gibbs (USA) 7 points. Nico Landaur (URU) 8 points. Kai Calder (USA) 9 points. Will Cyr (USA) 16 points. Stefaans Viljoen (RSA) 16 points. Johnny Heineken (USA) 16 points. Bryan Lake (USA) 16 points. Daniela Moroz (USA) 16 points. Ty Reed (USA) 16 points. 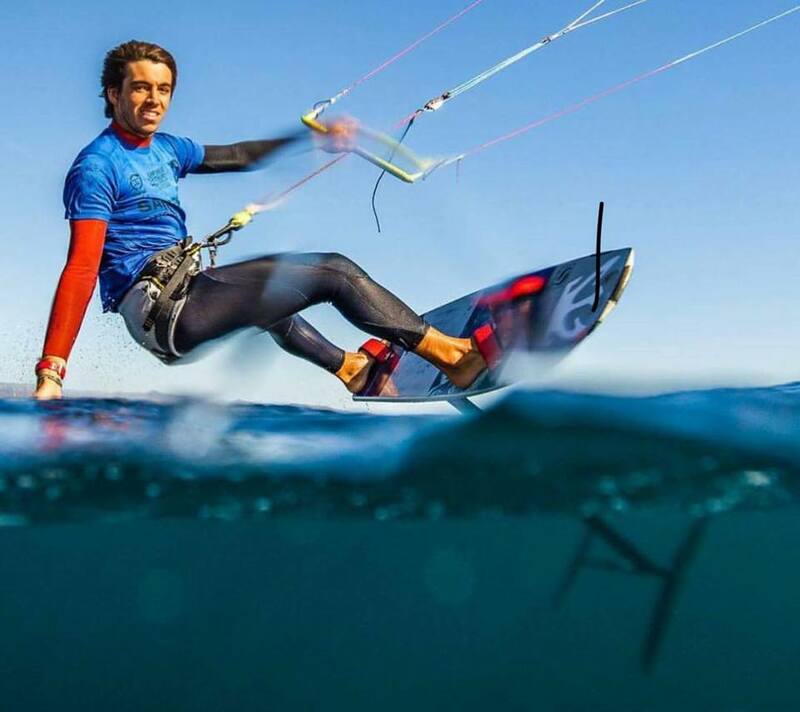 France’s Nico Parlier put on an imperious display to seize the International Kiteboarding Association (IKA) KiteFoil World Championship on the final day of racing on the Italian resort island of Sardinia. Even before the last race of the Sardinia Kiteboard Grand Slam, Parlier’s haul of bullets during the four days of competition meant he had the championship in the bag because of his vastly superior score. But after adding two more bullets to his tally in the opening two races on the flat waters of the Gulf of Angels of Cagliari’s Poetto Beach, Parlier looked like he would make it a perfect hat-trick in the day’s final race after rounding the first top mark in the lead once again. Uncharacteristically, he fell when he missed a gybe in the light, shifty breezes and had to watch much of head of the fleet ride past as he tried to restart. Yet by the bottom mark Parlier was back up to sixth position and with his raw pace and finesse he managed to claw his way back to finish second, just behind countryman Axel Mazella. 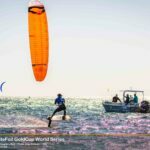 Mazella’s stellar performance earned him the second spot on the podium for the World title, but as the regatta doubled as the fourth stop of the 2017 IKA KiteFoil GoldCup series it was also enough to secure him the overall tour title. The 20-year-old Frenchman had been peerless at the GoldCup’s previous back-to-back stops at Weifang and Pingtan, China, last month, when he won race after race in light conditions that left rivals awed by his speed and precision. The intense competition at the top of the fleet left reigning IKA Formula Kite world champion and KiteFoil GoldCup title holder, Maxime Nocher (MON), in an unfamiliar third spot on the podium. But after a four-month layoff and little training for the event, Nocher was pleased with his showing after a consistent series of top place finishes in the regatta’s 12 races that have left him hungry to get back on top in the increasingly competitive environment. 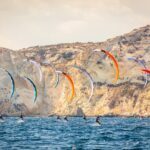 With virtually all the leading men among the 39-strong fleet from 14 nations at the Sardinia Kiteboard Grand Slam—sponsored by the City of Cagliari and Tourism Sardinia, supported by Yacht Club Cagliari—the five-day event produced some of the fastest, tightest racing of the year. But straight out of the gate, Team Enata’s Mazella racked up two bullets on the first day of racing in light conditions that upset the form books that saw Parlier as the firm favourite after he had won nearly race this year. True to form, though, the wheels of the Parlier machine began to grind on the second day when the gusty Mistral winds hit 40kts. 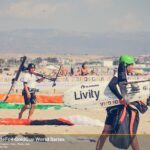 On his Mike’s Lab foil and board, and Ozone R1V2 kites, he began racking up bullets and continued to do so right to close of racing, only faltering occasionally when he placed second, a record that made him untouchable. For a time Britain’s Guy Bridge, 18, on his Levitaz Bionic foil and Flysurfer Sonic Race kites, looked as if he could challenge for a podium spot. But despite his searing pace, a chequered last two days left him in fourth spot overall. His mother, multiple world champion, Steph Bridge, among the three women racing in the competitive mixed fleet, won the women’s title, but was nonetheless dismayed with her final day’s outing that took the gloss of things a little. French 16-year-old Anaïs Mai Desjardins, undoubtedly a rising star, took the second podium spot behind Bridge. But her win at the KiteFoil GoldCup in Korea and a third in Weifang, China, were enough for her to take the overall tour crown. 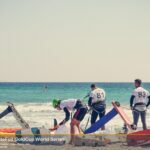 Cagliari, Poetto Beach, 6 october 2017 – Second day of races at the Kite Foil World Champioship 2017 at the Poetto Beach of Cagliari, Sardinia. 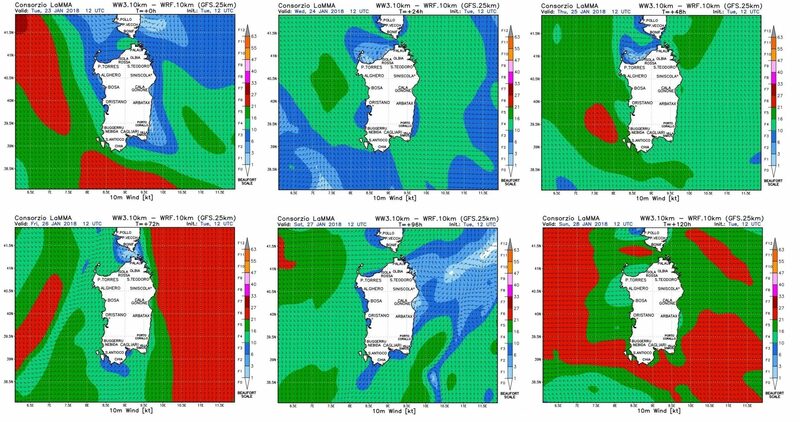 The day was signed by a really strong mistral wind, that reached over 40 knots. These conditions enhance the technical and physical skills of the 39 international top riders here at Poetto. French Nico Parlier has been the absolut dominator of the day with three consecutive first place. This allowed him to pass French country man Axel Mazella on the lead. Another great comeback was from the world champion Maxime Nocher that jumped in third place after the three third places today. British Guy Bridge is now in 4th Overall, whil Italian Mario Calbucci is in sixth. Tomorrow morning skippers meeting at 10.00 h. with first possible start at 11.00. The wind is expected from NE rotating to east in the second part of the day. 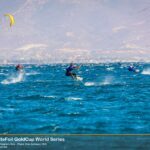 Cagliari, poetto Beach, 5 october 2017 – None of the favourites to take the International Kiteboarding Association (IKA) KiteFoil World Championship title had it all their own in the opening exchanges on sparkling blue Mediterranean waters off the Italian island of Sardinia. In a surprise upset to the form books, France’s Axel Mazella scored bullets in the first two races, holding countryman Nico Parlier at bay and pushing him into unfamiliar second spots on each occasion as the shifty breezes vexed the entire fleet. Yet in the opening day’s third and final race both Frenchmen—arguably the fastest racers in the fleet—came unstuck. Each separately tangled with other riders and had to fight their back way into contention but finished slightly down the order. 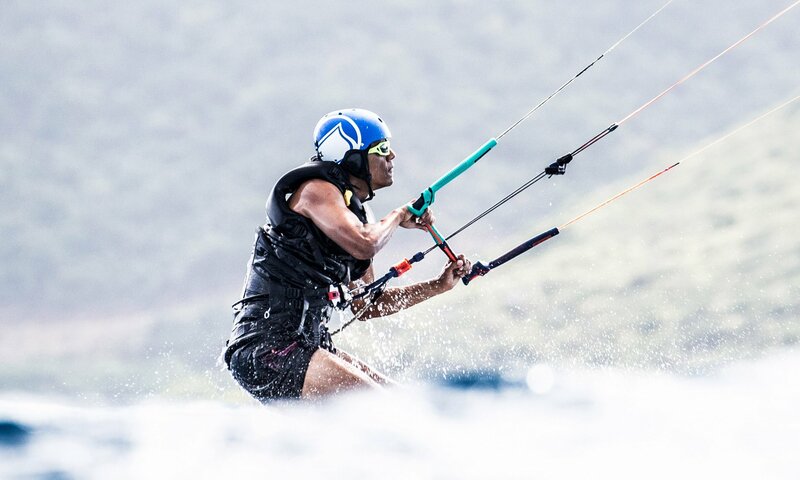 That left the door open for reigning IKA KiteFoil GoldCup title holder and Formula Kite World Champion Maxime Nocher (MON) to take the win on his comeback at the Sardinia Kiteboarding Grand Slam after a four-month layoff. Only Britain’s increasingly quick teenager, Guy Bridge, could split the order with three consistent finishes in the thermal breezes that built to around 12kts and left him third on the leaderboard. 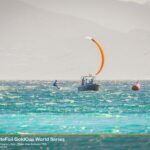 His mother, multiple world champion Steph Bridge (GBR), had a slightly chequered outing missing one start by several minutes after suffering a tangle launching her foil kite on the beach. But racing in the mixed fleet, she managed to keep her nose in front of 16-year-old Anaïs Mai Desjardins (FRA) to give her the edge on the leaderboard. 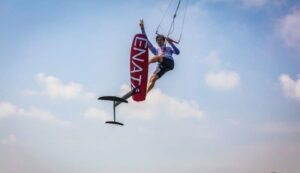 Still, for all the drama of mixed fortunes on the water, the opening day of the IKA KiteFoil World Championship, which is also the concluding contest of the four-stop KiteFoil GoldCup series that began in May in Korea before proceeding to China for back-to-back events last month, lived up to the hype. With virtually all the world’s top men on the startline for the first time this year on the first day of the four-day regatta, sponsored by Cagliari city and the Sardinia region, the showdown was bound to produce fireworks. Cagliari, poetto Beach, 4 october 2017 – Today 4 October 2017 is the registration Day. At 18:00 h there will be the Open Ceremony. 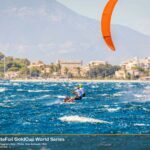 The Sardinia Grand Slam, final stage of Kite Foil Gold Cup have been presented yesterday at Sardinian Tourist board in Cagliari  and will under go from tomorrow at the suggestive location of Poetto Beach of Cagliari (Fidth Bus Stop, Italian Army Bathhouse). The event is organized by GLE (Good Looking Entertainment) with technical support from Yacht Club Cagliari and the sanctioning body being IKA (International Kiteboarding Association). The press conference was opened by event organizer  Gian Domenico Nieddu with interventions by Alberto Floris president of Yacht Club Cagliari, Barbara Argiolas Sardinia Turism minister , Yuri Marcialis Sport minister for the city of Cagliari, Mirco Babini President of the International Kiteboarding, Association and  General Giovanni Domenico Pintus, Commander in chief  for   Esercito Italiano – Sardinian Army. The IKA event will take place in the location called ‘Esercito’, managed by the Army and is organized by Gian Domenico Nieddu of GLE Good Looking Entertainment in cooperation with Yacht Club Cagliari. The City Hall of Cagliari and the Sardinia Region are the sponsors of the event through their Tourism office. Sixty riders are registered from all over the world and this evening at 6 pm there will be the ‘opening cerimony’. Total prize money will reach € 20.000. The reigning world champion MAXINE NOCHER (from Montecarlo) will have to match the strong French team including the vice world champion NICO PARLIER and AXEL MAZELLA. Good chances also for THEO LHOSTIS from France and the British brothers GUY and OLIVER BRIGHT, all on top of the ranking separated by few points. For the Italian fans the cheering will go to best ranked RICKY LECCESE but also hopes are placed on a good performance of veterans MARIO CALBUCCI and ANDREA BEVERINO. In the ladies fleet UK Steph Bridge. 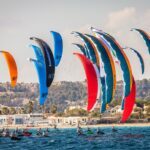 Cagliari 31 August 2017 – Even in this 2017, Cagliari in Sardinia will host the fantastic show of Kitesurfing: In fact, between the 4 and the 8 of October 2017, at Poetto Beach f Cagliari, the capital of Sardinia island, it will take place the Kite Foil World Championship 2017. 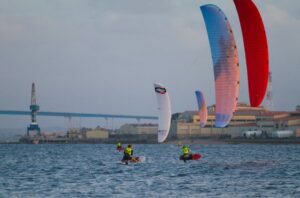 After the Kite Worlds 2002, after the Kiteboard Racing World Championships in 2012, after the Youth and Master Kite World Championships 2014 and after the Kite Foil European Championships 2016, Cagliari once again became the world’s kite center. International Kiteboarding comes back to beautiful Poetto Beach -Cagliari after the World Championship Racing in 2012 and in leading Italian resort island of Sardinia after the IKA World Kite League of last year in Porto Pollo. 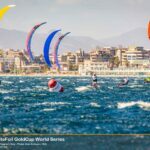 This time Cagliari will host the IKA Kite Foil Gold Cup World Championships FINAL. It is the final event, the one that will assign the world title, in a tour that touched already this year Korea, France and China two times. The IKA event will take place in the location called ‘Esercito’, managed by the Army. 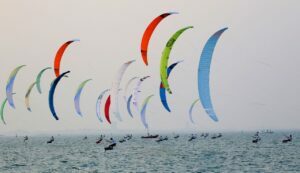 Sixty riders are expected from all over the world but the biggest contingent will come from France where kite foil exploded. Total prize money will reach €20.000. For the Italian fans the cheering will go to best ranked RICKY LECCESE (based in South America) but also hopes are placed on a good performance of veterans SIMONE VANNUCCI, MARIO CALBUCCI and ANDREA BEVERINO. In the ladies fleet USA leader DANIELA MOROZ will try to retake the world title but has to watch out from Russian ELENA KALININA. 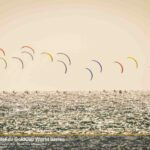 Here below some useful information on kitesurfing and Kite Foil and on the KiteFoil World Championship 2017. 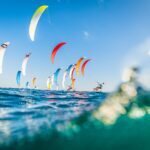 Kitesurfing and Kite Foil: what are they? 1. 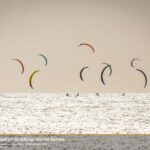 Kitesurfing and Kite Foil: what are they? Let us now explain to the less experienced, what are the kitesurfing and the kitefoil. Kitesurfing is a surface water sport that consists of gliding on the water suface with a board thanks to the power transmitted by a kite used as a sail. It is an adrenaline and beautiful sport, which is becoming always more popular even among famous people, including Barak Obama. Kite foil is a special kitesurfing discipline in which a particular board is used: this board, Hydro Foil board, has a long fin with wings that allow the rider to escape completely from the water and reach incredible speeds (even over 60 km / h ) thanks to the very little resistance that this fin reaches in the water. 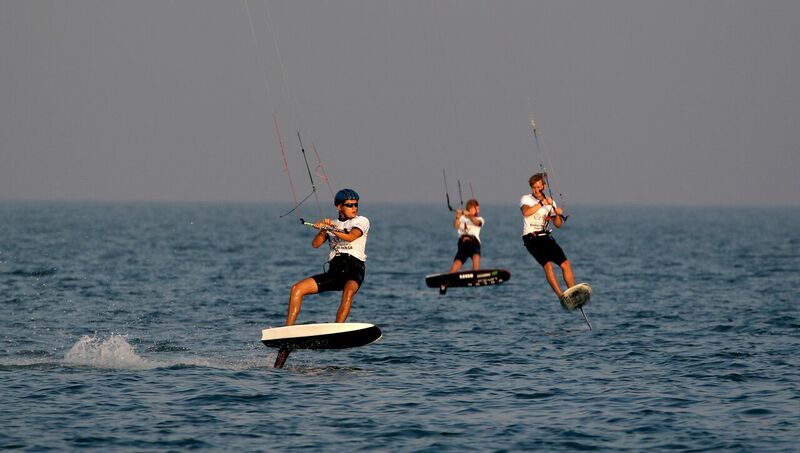 Kite Foil is the Formula One of Kitesurf, a show not to be missed! 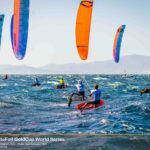 The format of the World Championship of Kite Foil 2017 will be Fleet Racing. Fleet Racing is a series of races where the riders challenge each other. At the end of each racing, the first ranked rider gets a point, the second ranked gets two points, the third ranked gets 3 points and so on. 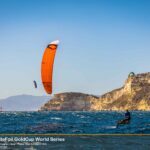 At the end of all races, the rider who has scored the smallest total of points will be the 2017 Kite Foil World Champion. because every 5 races , the riders could discard the worst result obtained in the previous races. Separate rankings will be drawn for women, men, Youth and Masters (over 35) and Grand Master (over 45). Stay tuned! 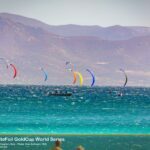 Do not miss the Kite Foil World Champioship 2017! 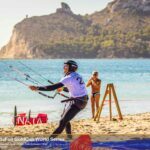 The Village of Sardinia Grand Slam – IKA Kite Foil World Championship 2017, that will be held in Cagliari, Sardinia, is located at the Army Facility (Stabilimento dell’Esercito) to the fifth bus stop of Poetto beach, the beach of Cagliari. 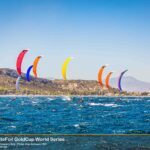 The Sardinia Grand Slam – IKA Kite Foil World Championship 2017 will start on 4 October 2017 at Poetto Beach of Cagliari in Sardinia, Italy! Here under the schedule of the event. Today 4 October 2017 is the registration Day. At 18:00 h there will be the Open Ceremony. The press conference was opened by event organizer  Gian Domenico Nieddu with interventions by Alberto Floris president of Yacht Club Cagliari, Barbara Argiolas Sardinia Turism minister , Yuri Marcialis Sport minister for the city of Cagliari, Mirco Babini President of the International Kiteboarding ,Association and  General Giovanni Domenico Pintus, Commander in chief  for   Esercito Italiano – Sardinian Army. For the Italian fans the cheering will go to best ranked RICKY LECCESE but also hopes are placed on a good performance of veterans SIMONE VANNUCCI, italian champion MARIO CALBUCCI and ANDREA BEVERINO. 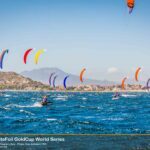 Streaming of the KiteFoil World Championship 2017 in Cagliari, Sardinia (Italy). 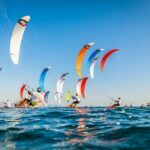 Even in this 2017, Cagliari in Sardinia will host the fantastic show of Kitesurfing: In fact, between the 4 and the 8 of October 2017, at Poetto Beach f Cagliari, the capital of Sardinia island, it will take place the Kite Foil World Championship 2017. 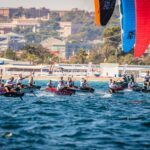 Registration is open now for the Sardinia Grand Slam – IKA Kite Foil World Championship 2017 in Cagliari, Sardinia. The 2017 World Champions of the IKA KiteFoil Class will be crowned from 04 to 08 October 2017 at Poetto Beach, Cagliari, Sardinia. 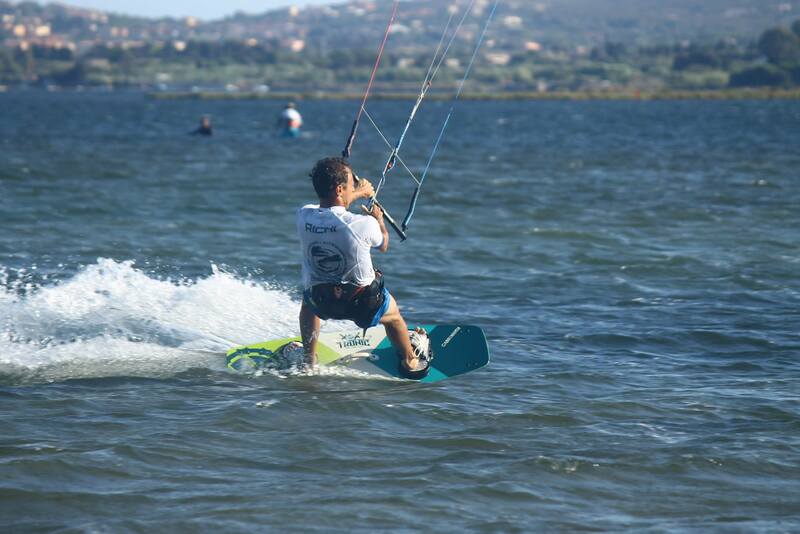 Cagliari has already hosted many events of kitesurfing in Sardinia and has always provided excellent weather conditions and organization. 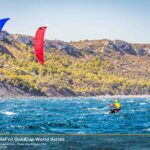 The Sardinia Grand Slam marks the final of this years 4-stop KiteFoil GoldCup which has awarded a total of 125.000 EUR prize money. Earlier plans to host the final in France or in the UAE unfortunately had to be postponed till the 2018 season due to reasons beyond our control. However, both of these events will make fantastic additions to the 2018 tour ! 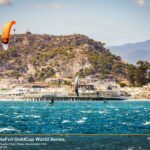 Starting with Korea back in May, the top 15 riders of each 2017 KiteFoil GoldCup (Korea, Weifang, Pingtan) qualify directly for the final event, with the remaining competitors being able to enter in the order of the world ranking up to a maximum of 60 entries. 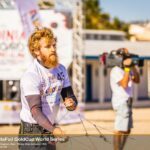 The winner of the Sardinia event will be crowned 2017 KiteFoil World Champion, while the KiteFoil GoldCup trophy will be awarded to the best rider of the tour. Riders can register in the official IKA webpage by clicking here. 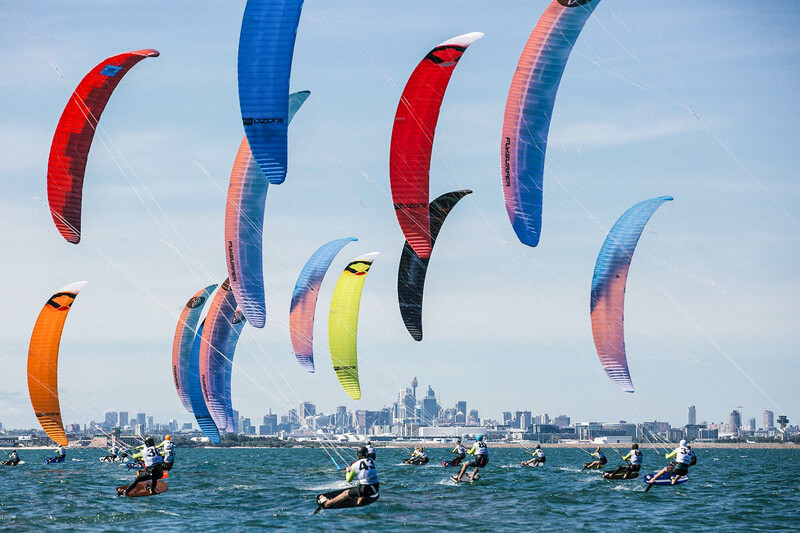 The format of Kite Foil World Championship 2017 is Fleet Racing. 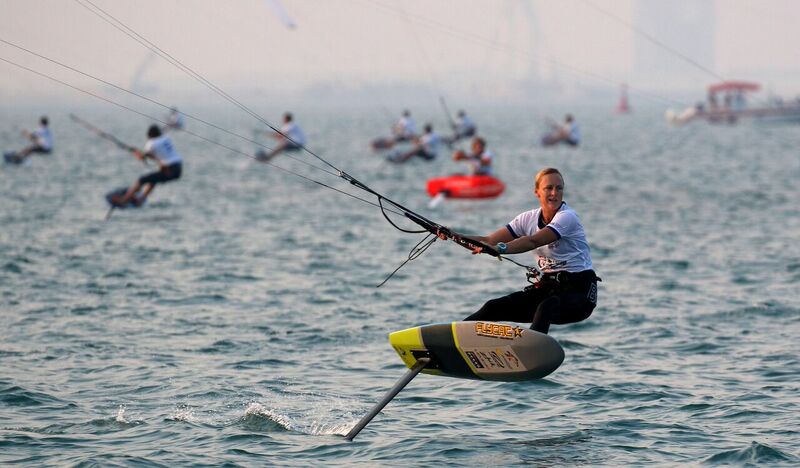 The Kitefoil GoldCup is the World Championship series of the IKA KiteFoil Class. 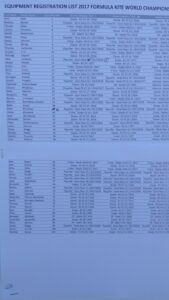 Separate Rankings will be produced for Female, Youth/Junior and Masters/Grandmasters depending on entry numbers. The Kite Foil World Championship 2017 in Cagliari, Sardinia is KiteFoil class equipment (open class for unregistered foils, prototypes). The event starts with registration on 4 October 2017, racing will start from 5 October 2017.